That’s not a typo – this drink really is called the Schnider, and it’s spelled that way because it’s a pun on schnapps and cider. Which is all you’ll find in this particular recipe! 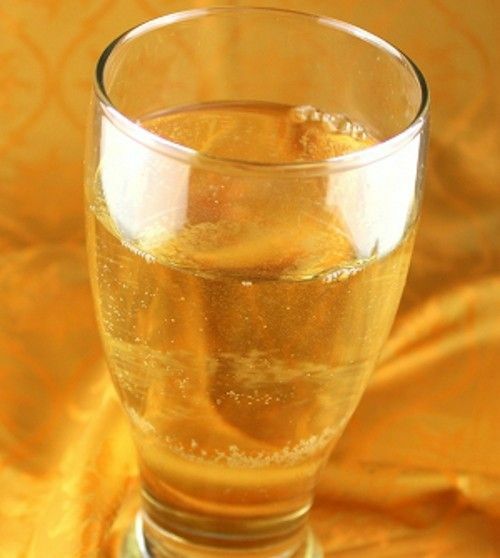 The result is a golden cocktail with a little bit of bubbling and a lot of peach and apple flavor. It’s fruity but not super-sweet, so you can enjoy this pretty much anytime. It’s charmingly simple and unsophisticated, and the flavors are mellow and easy going down. Pour the schnapps into a pint glass. Fill up the rest of the way with cider.